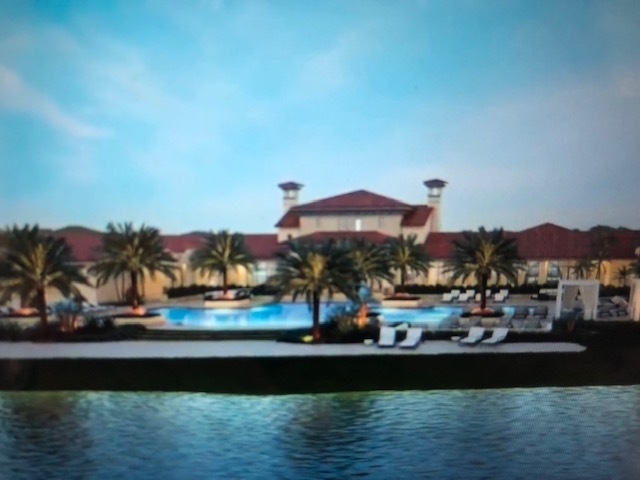 Parkland Bay in Parkland Florida Homes For Sale. Imagine your fabulous home wrapped around a 178-acre lake! Amenities include a grand gated entryway, sparkling, resort-style pool with lap lanes, its array of sprawling sun decks, and pool-side cabanas. Enjoy the wonderful 16,000 clubhouse with a state-of-the-art fitness center and gathering/meeting rooms. Become a gourmet chef while experiencing the culinary arts center. Find your zen at the spa. The club will also feature outdoor tennis courts. Celebrate with friends in the Party Room Pavilion, or relax under the Veranda with panoramic water views and lakefront breezes. Don't forget the children's tot lot! Each home will feature impact resistant windows and doors.